T.G.I.F. I thought it was Friday on Tuesday, and there was barely enough caffeine to get me through this week, but here we are. There have been a lot of good things going on lately, but I feel like I’m running around non-stop. This week, we celebrated my grandma’s 81st birthday, and Bill’s grandma’s 90th birthday. We’re extremely grateful to have both of them to celebrate with and loved some extra family time. They’re worth being tired for. As I mentioned in this post, I am wrapping up week three at my new job. When I worked at an agency, I typically dressed up a pair of denim and had a pretty regular routine with what types of outfits I would wear throughout the week. Having a dress code (i.e. no jeans) has challenged me to mix and match new and old pieces and different prints to liven up my work wardrobe. I have to admit that I think I’ve worn all black every day this week, but I also think the weather had something to do with that (c’monnn spring). These sleeves are so fun. Typically I wear petite pieces from Banana, but this is a 0 regular and fit perfectly. 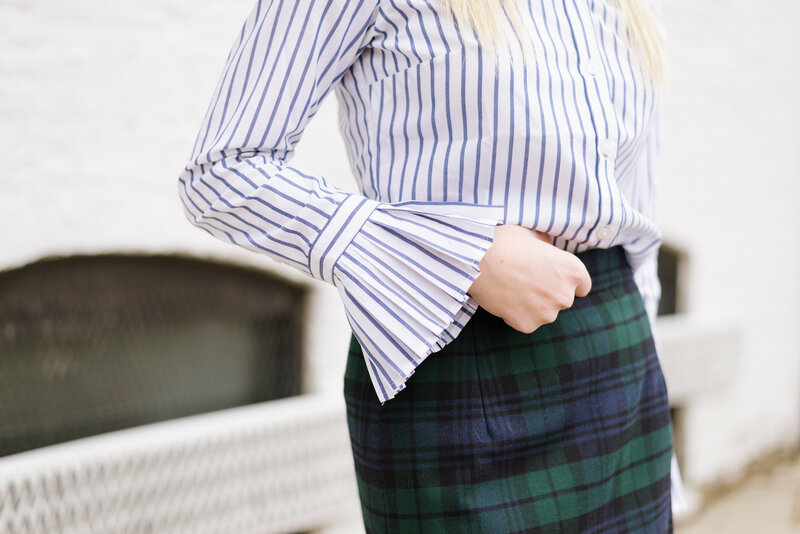 I have a lot of button ups, but this one has way more personality, and I love how it paired with my trusty plaid pencil skirt. 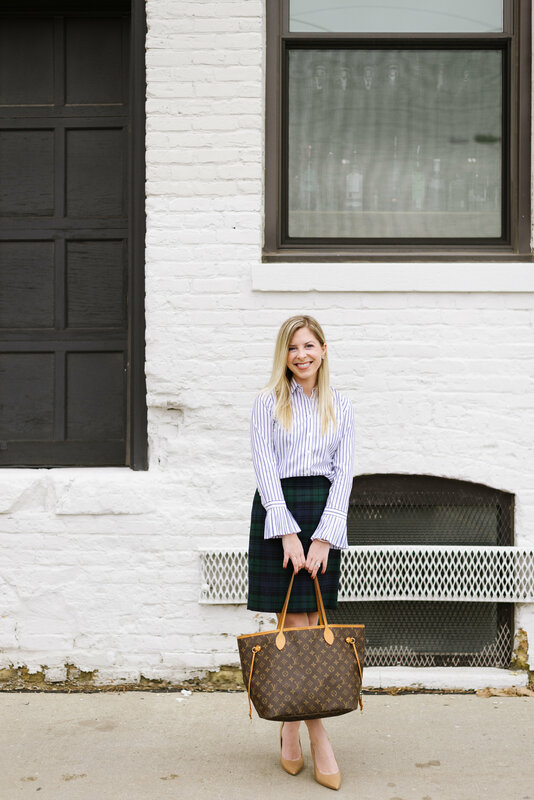 Banana Republic is one of my go-to stores to stock up on classic pieces that I can wear a variety of ways. I used to be the person who bought way too many items just because they were on sale. Now, I’m much more thoughtful when it comes to making a purchase and really try to think through how many different ways I can style a new piece with items I already have in my closet. 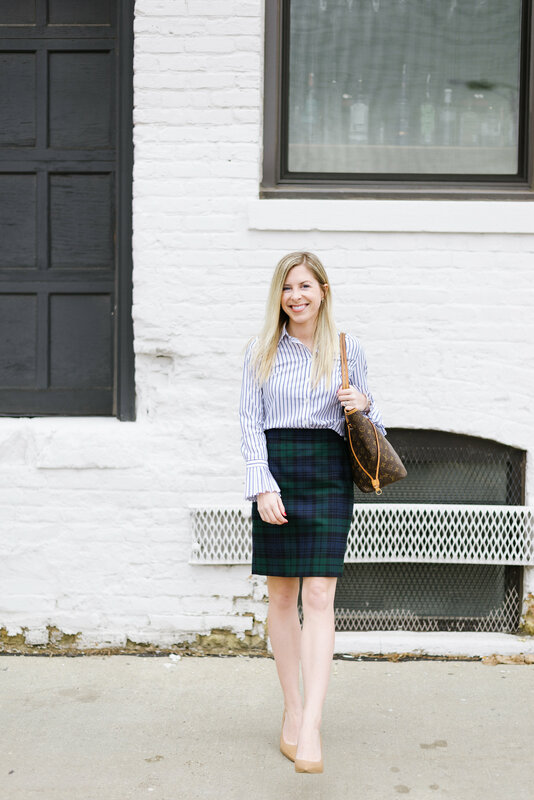 Besides this plaid pencil skirt, I’ve paired this blouse with distressed denim and leopard flats along with an a-line skirt with tights and black booties. Some of my other current favorites from Banana Republic are these suede pumps (they just arrived at my doorstep this week and are super comfortable and a perfect height! ), these pants, another classic blouse, this boucle jacket and these gingham pumps. This outfit is everything! At least half of my wardrobe is plaid or stripes so this is right up my alley. 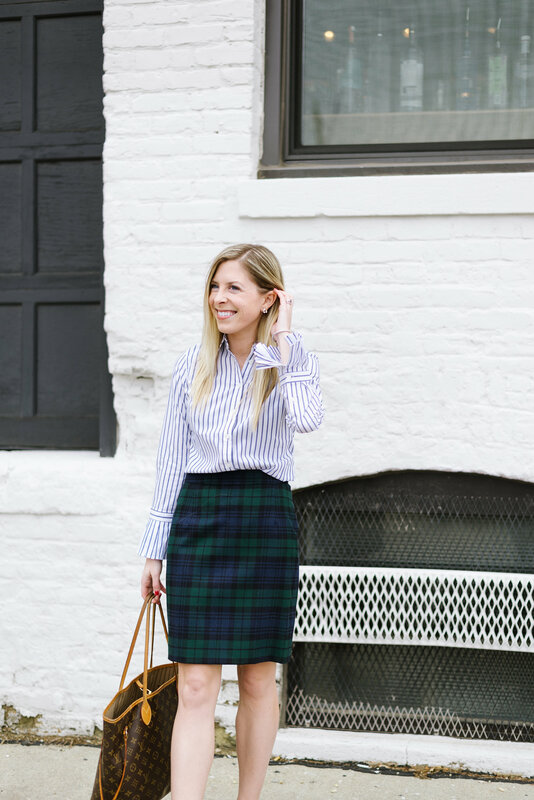 Just realizing as I write this now that I don’t have a plaid skirt and I think I need to change that! 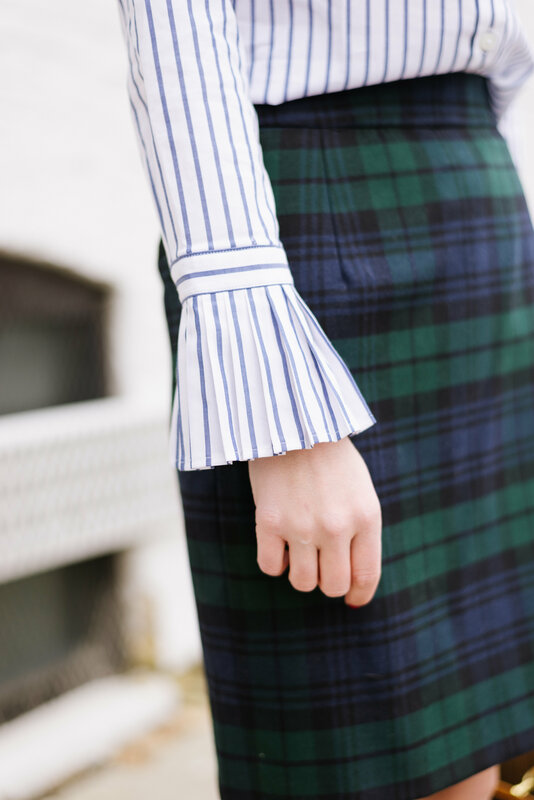 Love the combination of the two patterns, and the extra bit of detail on the sleeves. Thanks for posting!